Reference: Ben Yang, Michael Steiner, Maoyan Zhu, Guoxiang Li, Jianni Liu, Pengju Liu, 2016. 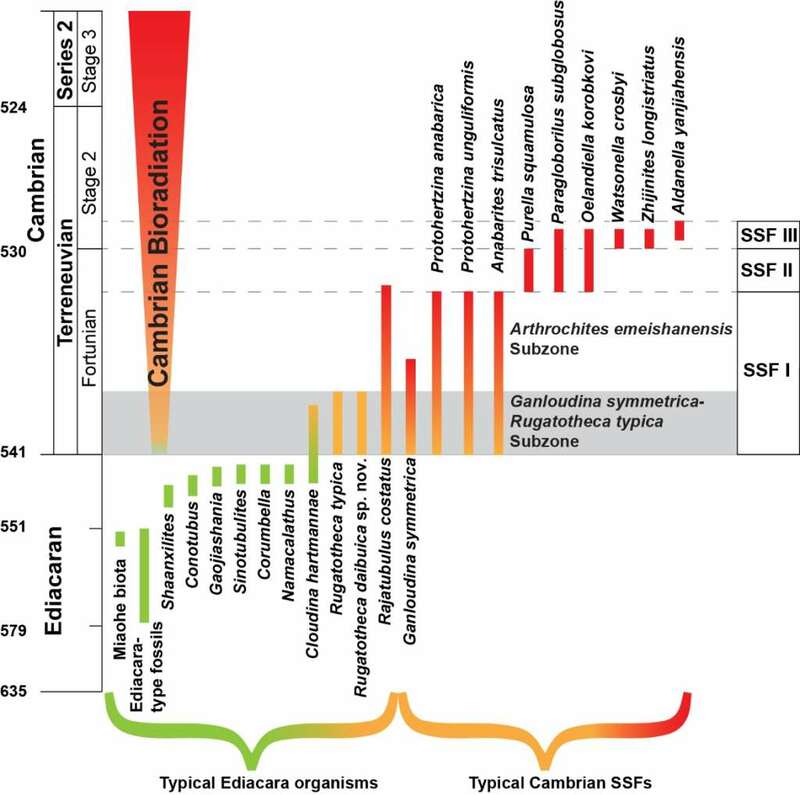 Transitional Ediacaran–Cambrian small skeletal fossil assemblages from South China and Kazakhstan: Implications for chronostratigraphy and metazoan evolution. Precambrian Research 285, 202-215.